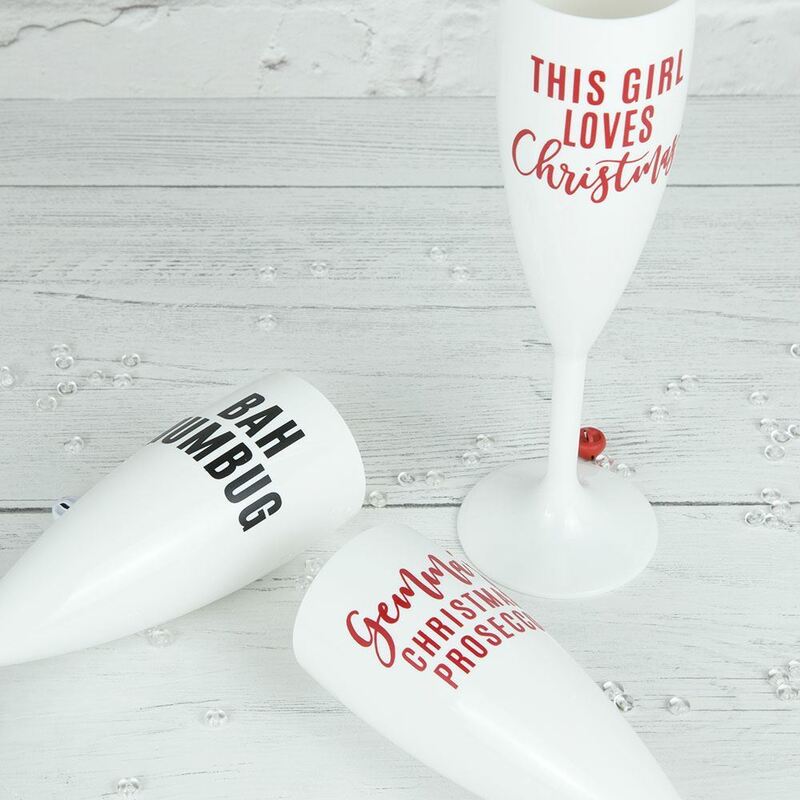 Whether you love or hate Christmas, you can enjoy some festive fizz in our white Christmas prosecco flutes. 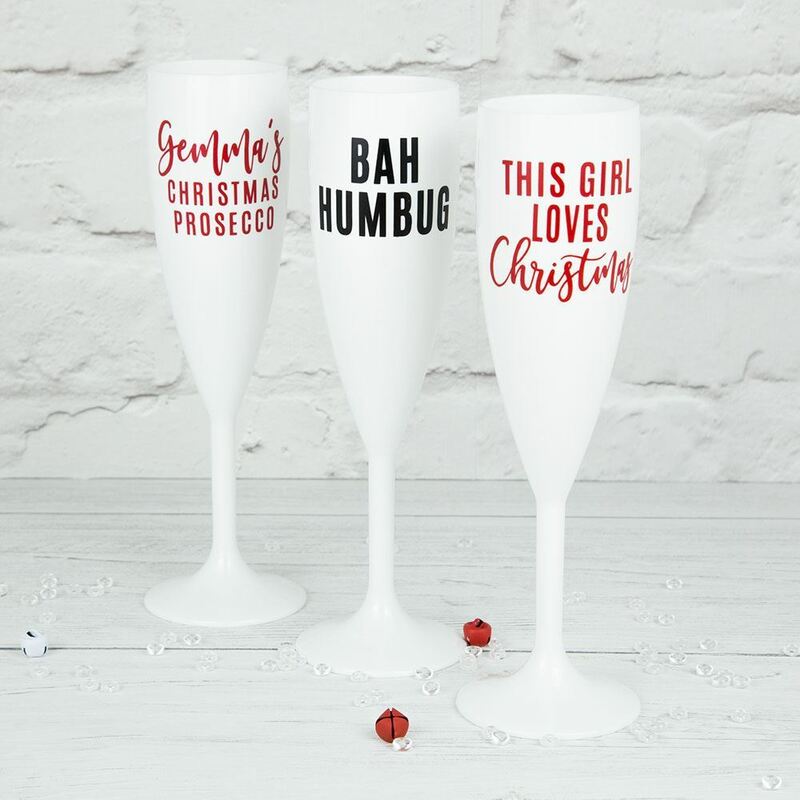 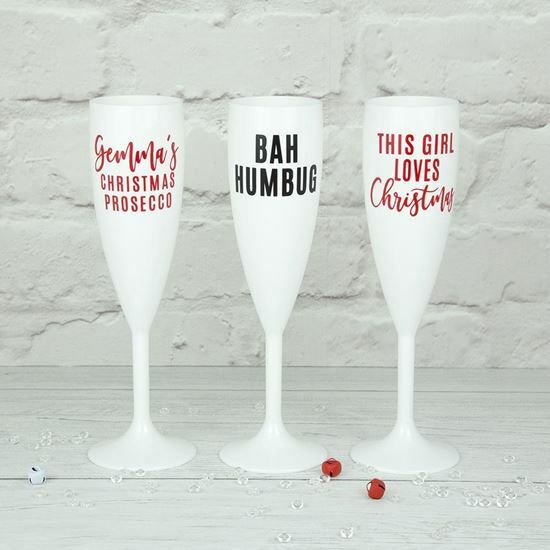 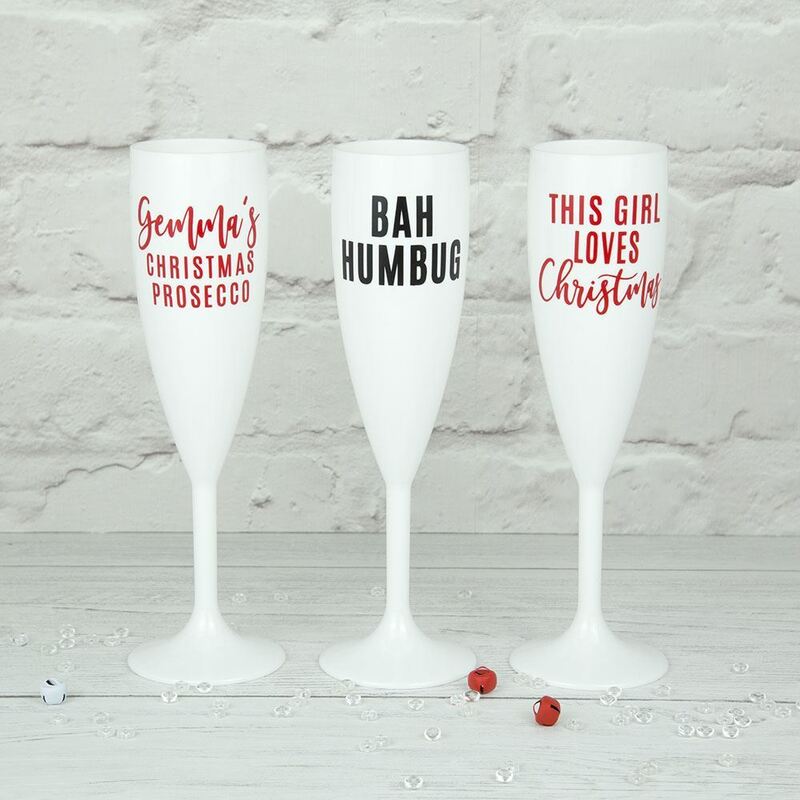 They come in 3 designs, "Bah Humbug", "This girl loves Christmas" and a personalised Prosecco or Champagne style with your name to complete the look. 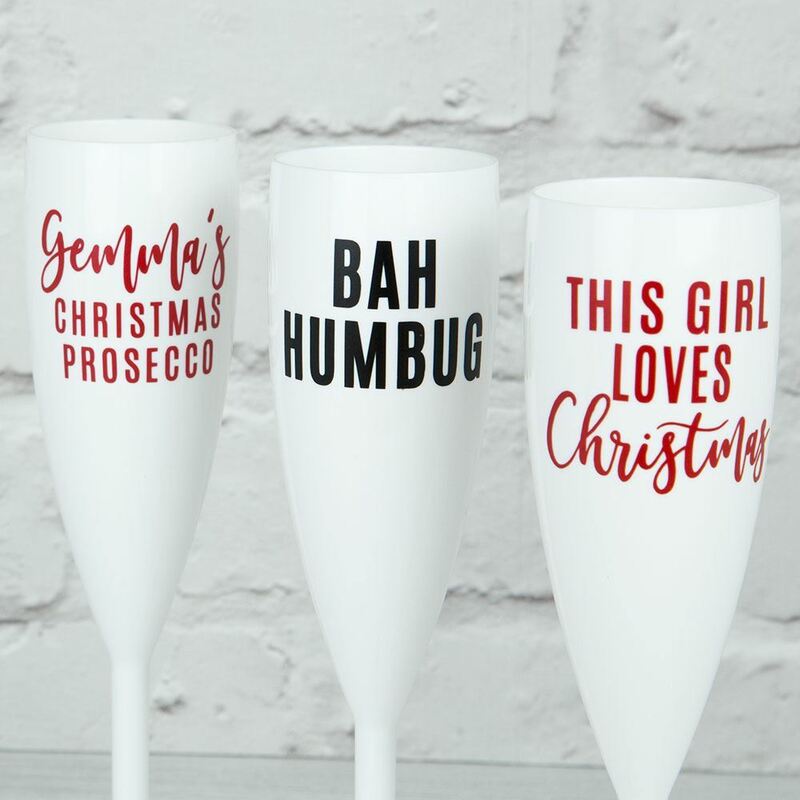 They are made from virtually unbreakable Polycarbonate material and are reusable and recyclable. 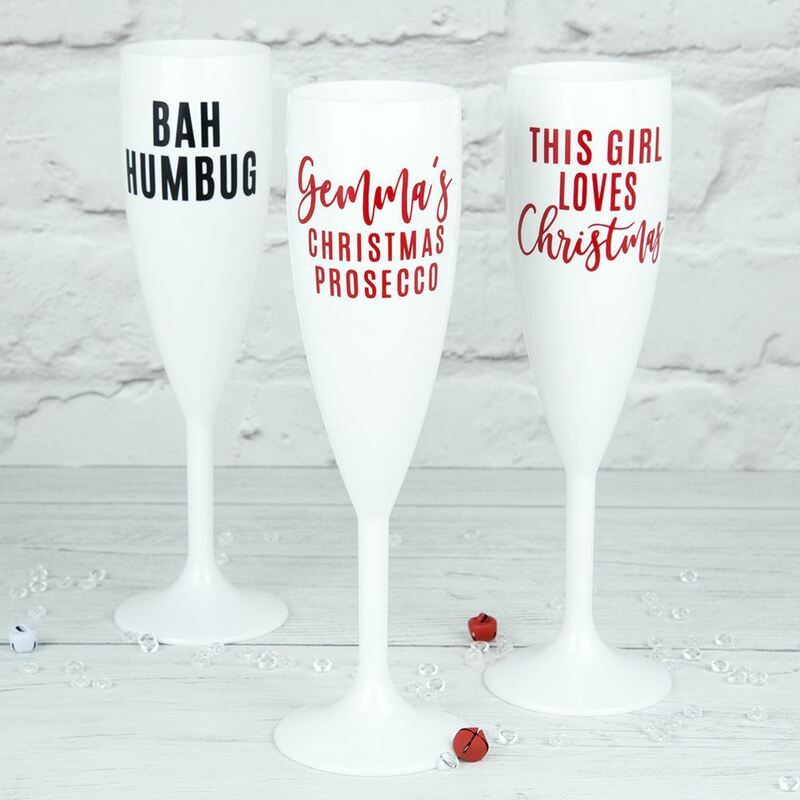 Please choose your design from the drop down list. 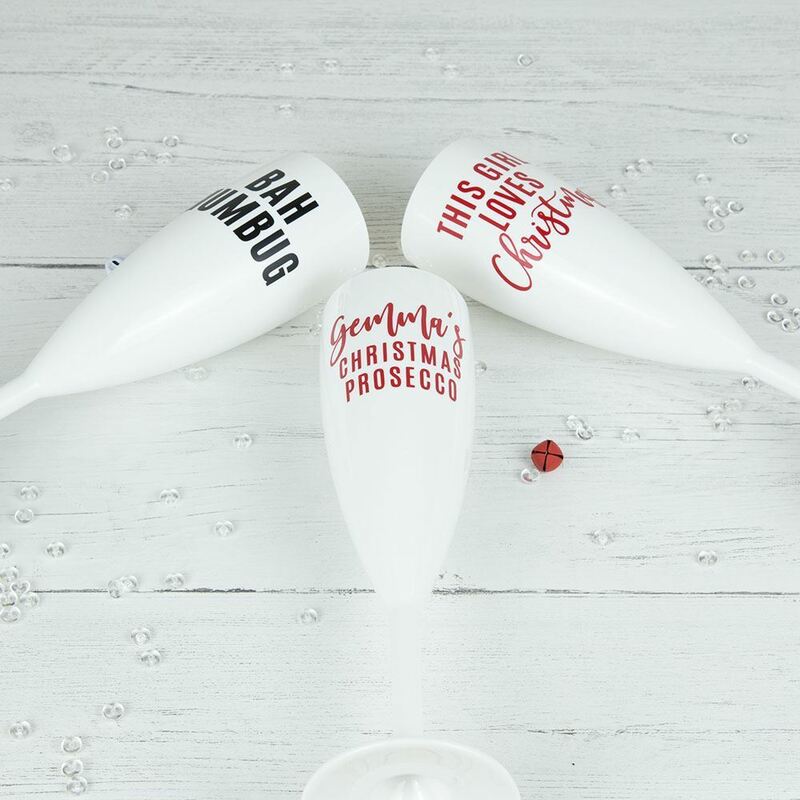 If you opt for the personalised design please leave your name in the box provided.